Adrian has successfully produced numerous artists under his Music Infinity label including the latest album from Jules Knight, Change of Heart. This album features two songs from Adrian Munsey – Refuge and Fall From Grace. Previous releases from Music Infinity include Blake, In Harmony. This was the fifth album from the popular crossover boy band and featured two songs from Adrian Munsey – Waiting and The Right Words. Other productions include classical number one album A North Country Lass from Lesley Garrett, pop chart hit album The Real Neil from Neil Sedaka, Timeless featuring the Treorchy Male Choir and Blake’s Together and Start Over. 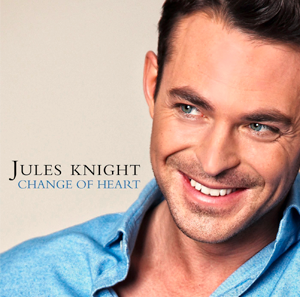 Change of Heart by Jules Knight is available now.